The Web Performance & Security Company. Provides our CDN for hosting our front-end Angular powered interface. Hosts our DNS, load balances our traffic, and provides CDN capabilities. Great for performance and security. Now offering free SSL for modern browsers, how could we not love CF? DNS Hosting for all of our customers we don't need to worry about our own DNS Servers. Railgun Optimizer, CDN Cache and Free SSL of course. We use CloudFlare to manage our DNS. The added performance and security is a plus. We use CloudFlare as a DNS provider, as a CDN and for its page rules, e. g. to enforce HTTPS for certain domains. 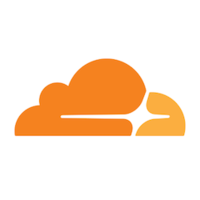 Cloudflare is used as a global cache for performance and security.